DBR was founded in 2012 in Blumenau (SC), as a joint venture that is operated by the companies Loghaus, specialist in distance selling in Brazil with over 30 years of experience, and the Otto Group, one of the largest online retailer in the world to the final consumer (B2C), operating in more than 20 countries. 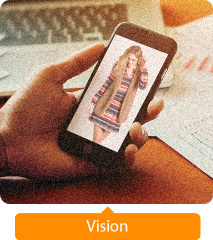 DBR is a Full Commerce company with a highly specialized team throughout the entire process of fashion e-commerce. It provides online store development and complete management services, including marketing, invoicing, storage, logistics and customer service. Its business includes the management of the Posthaus Portal and the e-commerce of the following Groups: Cristina Fashion Brands (www.vestis.com.br), Rovitex (www.loja.rovitex.com.br), Fakini (www.fakini.com.br) and Loghaus (www.quintess.com.br and www.larelazer.com.br). DBR furthermore provides e-commerce services for Bonprix, a European brand of great success worldwide that is now established in Brazil. DBR offers a complete solution for online fashion sales. Provide convenience with passion and building solid relationships. E-commerce, differentiation through sustainable values. Innovation: Create and reinvent ourselves to achieve a differentiated and unique identity. Ethic: Act honestly keeping an intact and moral relationship with our employees, customers and the community. Commitment: Promote and believe in teamwork, honoring our commitments. Optimism: We are optimistic and believe in the capacity of realization of people, in the strength of development, facing the future with energy and good humor. Initiative: Encourage new ideas because we believe in the power of pro-activity. Intense Communication: Looking for clear and intense communication promoting common understanding. Social Responsibility: Act responsible, contributing for a better society. Company Name: DBR Comércio de Artigos do Vestuário S.A.